Posted on January 12, 2018 by Ms. B. 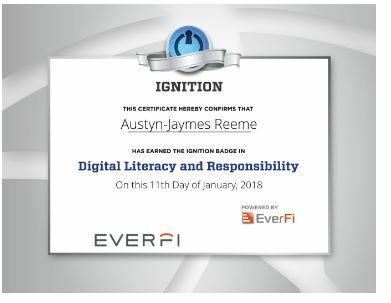 EVERYONE should be completing Modules in EverFi. This weekend I expect to see at least 3 modules completed with a test over 70. Your modules and Typing.com activities are participation grades and the tests are entered as tests.